When you hear the term “budget,” do your eyes glaze over? Does it make you think of business meetings when the donuts ran out before the talking didn't? Maybe the word brings back shuddering memories of parents arguing over a pile of bills on the kitchen table. You don't know how to make a budget, and it just never has seemed all that important. Maybe, you aren't even sure what that term even means; and that's ok. If you don't know how to make a budget—even if knowing how to make a budget has never seemed important before—we're going to break it down for you. It won't even hurt! “Why, though,” we hear you asking, “do you even want to know how to make a budget?” So glad you asked: it's the fastest way out of a lot of financial messes, but it's more than that. It's also the way to accomplish your goals and take charge of your life. It's a lot like magic, but anyone can do it. If you've ever found yourself wondering where on earth your money is going, you need to know to make a budget. If you've ever felt a pang of terror that you didn't have enough money to cover a bill you had forgotten about, even if you managed to make it work in the end, you need to know how to make a budget. If you've ever spent time you should be sleeping, vaguely worrying about the future but figuring all you can do is keep working and hope for the best, you need to know how to make a budget. Nothing like getting right to the point! We'll start with the boring definition and then explain what all that actually means. A budget is an estimate of the amount of money you have come IN from all sources over a particular period of time as well as the amount of money going OUT from all sources over that same period of time. Most people budget by the month, but some budget by the week. Either way, you figure out how much money is coming into your hands (that's your revenue) and how much money is going out (those are your expenses) and make a plan to control this flow. The point of having a budget isn't just to know dollar amounts. It's to make a plan to control what happens to all that money. “‘…all that money', they say. Clearly they haven't seen my bank account!” Ok, we feel you, but guess what? Budgets, like streets, are for everyone. Individuals and families have them, businesses, churches, governments, charities: they all have them. Of course, when we're talking about the government, everyone knows they have a budget. Whether they pay any attention to it or not is another story. Just because Congress doesn't know how to make a budget and keep to it doesn't mean you shouldn't though. You need to be smarter. The reason you budget is pretty simple: knowledge and power. Never thought of it that way before? That's ok. That's why we're here. If you mention budget to some people, they get all squirmy and avoid the discussion because they're thinking of a budget as a restriction. They're thinking “a budget will tell me what I can and can't do, and I hate that. “ The problem is that they're thinking of it all wrong. How many times have you read about some kind of superstar in sports or film who was making the kind of money you can only dream of, and then you read that they've gone broke? Have you ever shaken your head and wondered how that was even possible? Those people had a lot of money to spend, and that seems powerful, but in the end they didn't have any power at all. A budget is the opposite of a restriction. It's freedom, and, as we said, you learn how to make a budget so you have knowledge and power. 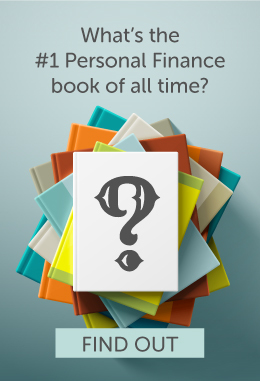 The knowledge you get is an intimate understanding of your finances and how they work. Never again do you have to open your wallet, say to yourself “Wait, I thought I had a $10 in here and now it's gone!” and then spend five minutes worrying that someone has been stealing from you, only to finally remember the latte and muffin you bought on Tuesday. It's your money. It's your life. You deserve to know what's going on with it, and learning how to make a budget is the way to get there. There's a saying that “knowledge is power,” and in this case that's absolutely true. Once you have a clear understanding of your money and your life, your revenue and your expenses, you are positioned to take control. Once again, it's your money. You should have the power to make it do what you want. Once you've learned how to make a budget, of course you can still keep spending on pizzas and movie rentals if that's what you really want. You control the budget. The point is that you can do so much more and should have the power to make choices. Once you know how to make a budget, you can start getting rid of debt. You can start building your wealth. You can start working towards the day when you get bigger toys and finer comforts than pizza and movies, if that's what you want. The point is getting and exercising control. What Does Budgeting Do for Me? We've covered the two basic things that learning how to make a budget gives you (knowledge and power), but let's go into the details of what all that knowledge can actually do for you. When you first make your budget, there's a chance things will be scary. You might be tempted to look at where things are going and drop into full-on panic mode. But once you've made it over that initial mountain of stress, guess what? Stress goes down. Stress goes down because now you know what's happening and now you're in control. If you're married, you probably already know that one of the biggest strains on a marriage is money woes. You can stop that and lower the stress on your relationship by making a budget together. Finally, a budget lets you build a long-term goal and get there. Every time you're exhausted from work and think a splurge will help make things better, you can get control by thinking about your plans for the future (which you now know really well). Do you want to work forever? Do you want to be doing this same thing in 20 years or 40 years, or would you like the freedom to do what you want? That's what a budget is for, and having a budget will help you focus and keep your eye on the prize. Pro and con lists are great. They can really help flag up the value of a thing. So let's do one for the idea of budgeting. As you can see, the pros of making a budget really outweigh the cons. Hopefully we've convinced you that budgets are friends, not enemies, and you're ready to take the next step in learning how to make a budget. Thankfully, there's a budget out there for everyone. You can learn how to budget in the way that makes the most sense for you. Remember: you don't have to choose one and stick to it forever. This isn't marriage. You aren't making vows. This is more like a restaurant order, and if you realize that putting BBQ sauce on a fish sandwich was a mistake, send it back and order some ribs. Please don't put BBQ sauce on a fish sandwich. Otherwise known as the Survival Budget, this is the plan for an emergency situation, when your finances are in real trouble and you just need to right the ship before going any further. This is really meant to be temporary, so if this is the budget for you right now, look forward to the future when you can get past it. With this simple budget, you just calculate the money you have coming in and what you need for expenses. You don't worry about trying to save anything, and you only pay the minimum payments on your debts to keep out of the red. The focus is on survival. With this budget, you're spending only on the basic necessities, and that's taking all your income for the most part. This type of budget is useful when you're between jobs or dealing with an unexpected emergency, like a death in the family. All non-essential spending gets cut off. If you're just getting into the idea of budgeting, this type of budget is a great way to ease into things. With this budget, you set a specific amount of time (we recommend weekly to start out) and work from there. You keep track of your weekly salary and figure out which bigger bills will come in on which weeks. One week you might pay rent and another week you'll pay the credit card bill or the gas bill. You see what you have left and set yourself an allowance for spending that week and an amount to set aside in savings or to pay off debts. If you're really struggling to get control of your finances, this could be an amazing way of getting that control. You might only do this for a couple months, but the process will really help you understand what your true financial limits are. In essence, you are going to only use cash to pay for everything. No plastic at all. Anywhere. If you find that you've run out of cash before the end of the week or month, you'll know you have to tweak the budget to reflect your true financial situation. Are you drowning in debt and can't seem to get out of it? The good news is that nearly anyone can get out of debt, and much more quickly than you might think. With this type of budget, you don't even need to track everything. You just need to identify the worst areas of money loss. You build your spending plan based around sending every cent to pay off debt. You commit to almost no discretionary spending until the debt is gone. Discretionary spending is spending you don't have to do, like getting a new gadget or ordering out when you could cook at home. This budget is designed to give you the freedom to do whatever you want later in life. Here the priority is on saving. You figure out how much you need to save and invest in order to have the income you want when you retire. That might be 10% of your current income, or it might be 30%. It all depends on you. You don't necessarily have to track every bill or expense this way. When you get your paycheck, you skim off the amount you're planning to save and put that away first. You might even set up an automatic transfer so you don't have to do it yourself. You live off the rest. If you find that you have then you expected to live off of, you can put even more into savings. If you find yourself scrapping the bottom of the barrel at the end of the month, save a bit less. In the era of the gig economy, a lot of us don't have exactly the same amount coming in every week or month. It's a lot harder to keep track of your money when you earn this way, especially when you have to figure out all your own taxes. This type of budget starts by putting away taxes, before you touch a dime of the money for yourself. Once you've done that, you're protected against more debt come next April 15th. After that, you set a sensible spending, saving, and bill-paying limit. Whenever you have extra, you sock it away as insurance for leaner times that inevitably come later. To learn how to make a budget, you'll need both information and tools. If you're an Excel whiz or know how to use Google Docs spreadsheets or Apple's Numbers, building a spreadsheet can save you a lot of time and effort later down the line. This is best for simpler budgets. Mint is a handy financial planning app to teach you how to make a budget. It will track all your bills for you and even help you build your budget. This is great if you do all your spending through bank transactions (rather than with cash) and pay your bills that way, too. This is a desktop application that allows you to create extremely detailed plans for your finances. It's basically a kind of electronic accountant, and does what Mint does, only in overdrive. It will track investments, Amazon purchases, and pay your bills automatically if you want it to. You Need a Budget, YNAB, is a simple tool for those of us who are new to this whole budgeting thing. You know how you have all those apps on your phone for all your different financials? There's your bank's app and your investment company's app, and then each of your credit cards has a different app. Paypal. Cash app. Goodness. YNAB is great because it syncs all these things together, and then it's like you have just one awesome banking app that does everything. It helps you plan a budget, keeps you on track, and even shows you where you're making progress. This is a free tool that keeps your info in one place, helps you plan an investment strategy, and allows you to track investments and see how your retirement planning is coming. You can even create a couple different custom portfolios so you can invest for different goals in different places. Ok, you've got your tools, you've got your motivation. You're ready to take control. Where do you start? Don't worry: we've got you covered. This could be a regular paycheck, income from freelance work that's dropping in through PayPal or Stripe, or money coming in from investments. Make sure you account for every cent and figure out your monthly total. If you have a variable income, take a look at the last six months and get a feel for what your average monthly income is. If it varies tremendously, then you'll need to work from a larger average. Instead of working month by month, you'll want to budget three or six months at a time. Start with the expenses you can't change. This would be mortgage payments, car and health insurance, loans, car payments, and minimum credit card balance averages. Then record the expenses you can change. This would be utilities, entertainment, dry cleaning, food and groceries, coffee, date night, gifts, retirement savings, etc. You want to write down your total income and your total expenses. The goal here is that the first item be larger than the second. If it is, then you're in good shape. That means you're making more money than you spend, and you can take the extra and use it to put away more savings or pay off a credit card bill. If your expenses are more than your income, then you need to make some changes. Go on to the next step. Even if your income is higher than your spending, just seeing all your spending hanging out there like that might inspire you to make some changes. For now, put away the expenses like car insurance and mortgage payments. You can't really change those, at least not without a lot of negotiation and effort. Instead, focus on where you can change things, and rank your changeable expenses from most to least important. This ranking is going to vary according to your priorities. For example, some people will rank their gym membership very highly because they go a couple times a week and see it as essential to managing stress, weight, and health. Other people will rank it very low because they almost never have time or energy to get there. A gym membership is a natural thing to cut for some people, and an essential for others. Your internet bill might be another thing to look at. For some people, having wifi internet at home is a luxury. Most of the time, you're using your phone data to search the web anyway, so you don't really need it. On the other hand, if you work from home and your income depends on a solid, fast internet connection, then your internet bill is a necessity. Most people can see serious changes by cutting back on things like food and entertainment, and there are some great strategies you can try to see real change without too much pain. We'll go over some of those in a moment. This is where your budget type comes in. Are you budgeting to survive an unexpected financial disaster? Then put everything to expenses, skip the savings for a bit, and just make the minimum monthly payments on everything to make sure you stay out of the red. Are you budgeting for the future? Prioritize retirement payments and keep debt low. Are you budgeting to pay off debt? Keep savings and spending to a minimum and send every dime you can to get that debt down. A plan is only good if it fits the situation, and things change. Your income or expenses might change from month to month, and it's important to sit down regularly and evaluate whether things are working for you. Remember: it's all about power and control. If a budget's not working for you, you have the power to change it. If you have a list, you're more likely to keep within your budget. You're less likely to grab random items off the shelves, and you can be certain you have everything you really need before you get all excited that you still have $4 in the budget and you just love Corn Pops. If you go to the store right after you've eaten, you'll be less tempted to grab items to snack on. Also, going to the grocery store with a budget and a list is tiring. It drains you and makes you feel hungry, and then you want an energy bar just to get back to the car. Finally, a lot of the time store brands are just as good as name brands. In fact, in some cases they are IDENTICAL. The same factory is making precisely the same products and shipping them out under different labels. The store brand is selling for the actual market price; the name-brand is selling for the price that suckers can be tricked into paying. There's no faster road to profligate food spending than having no idea what you'll do for dinner tonight. Let's be honest: there's a strong chance we're all going to get home tonight exhausted and frustrated with the boss. The last thing we want to do is figure out something to cook, and then the temptation to order out is strong. If you plan your week's meals on the weekend, make a list and get everything you need, then it's a lot easier to stick to your eat-at-home plan. Bonus: you also might feel inspired to try new recipes. You can also try making large amounts of certain things and freezing them for quick and easy meals during the week. If you have a snack on hand, you're a lot less likely to spend money on a snack when you're out. Not only will save you money, but it might just make things easier on your waistline, too. You can't always predict hunger or cravings, so get out in front of the problem by always having plenty on hand. You don't have to become one of those people who holds up the line at the counter while you go through all your coupons. These days, a lot of store loyalty programs offer an app, and you can clip, and sometimes even apply coupons, on the fly. Lots of movie theaters offer discounted tickets on their slowest days and times. Plan some family fun around these days instead of going to see everything first thing Friday or Saturday when the films drop. Guess what else you'll get out of this? Instead of fighting crowds of popcorn dropping, obnoxious people and stewing angrily about that woman who won't stop checking her phone in your face during the movie, you'll have the theatre practically to yourself. Part of knowing how to make a budget is figuring out how to get people to give you what you need. Call everyone who offers you a service and ask them for a better deal. Cable, mobile phone service, internet: everyone. If they think you're about to drop their service and go elsewhere, you'll be amazed at what they can suddenly come up with. If you've always gone away for vacation, it might be time to try a “staycation.” This doesn't have to be boring or code for “doing Friday night all week.” It just means you make home your base and strike out to do interesting things in your area. A lot of us get stuck in a routine and rarely go anywhere or do anything different. Explore new parks, hit up the bowling alley, and find other inexpensive local ways to get away from it all, while saving on hotels, gas, and the price of eating out. Dad used to follow you around and switch off all the lights, remember? “Who is in this room? Is it your imaginary friend Igor?” “Are we trying to heat the entire neighborhood?” You can be this person, minus the sarcasm. You might be shocked how much you'll save just by getting into the habit of turning off lights whenever you're not in a room. Does your TV need to be in power saving mode? That mode still uses power. If you turn it off completely, or even flip off the power strip at night, you'll save cents that will turn into saved dollars. Keep them at the end of the day and write down everything you spent. If you're overspending, this will quickly become clear, and the fear of having to see that in black and white (or purple and white, depending on what color pen you use) will inspire you to think twice. Remember MacGyver? Bad guys locked him in a shed and he'd use some lint from the floor and an old toothpick to build a bomb that would blow open the prison and also kill (bloodlessly) all his enemies. If you've got a problem and your first instinct is to run out and buy a solution, challenge yourself to innovate a way out of it instead. The challenge will help keep you motivated, and you might be surprised how fulfilling and ego-boosting it is to work things out for yourself. Even if you're not following the cash-only budget, using cash really helps. At the beginning of the week, give yourself the amount you're allowed to spend. If you've used it all up by Wednesday…oh well. Guess you're brown bagging it for the rest of the week. Want to buy something? Sleep on it one night. Anything can wait till tomorrow except appendectomies. If you still want it tomorrow, then maybe you really do need it. If you have trouble doing this, try to call up memories of all those times you had buyers regret. If you keep looking at your budget on a regular basis, you'll find fresh motivation to either keep on or do better. It's amazing what a little information can do. There are all kinds of ways to do this, and it can live in your bathroom, on your fridge, take pride of place in the living room, or even be your computer screen background. The idea is to use photos of what you want to achieve and motivational encouragements celebrating what you've already done and keep them in front of you all the time. Whether it's a spouse, a set of friends, or even some Internet friends, be transparent about your progress; and your backsliding. The very act of having to post online, even anonymously, that you caved and got lunch out twice this week will help you resist the temptation next week. If you go on a diet and never plan a cheat day or an indulgence, you're liable to do great for a while and then wake up one day from a three-day sugar gorge filled with regret. The same thing can happen after you've learned how to make a budget and are trying to stick to it. Treats give you something to look forward to, which helps you rein in your impulses the rest of the time. Treats can also help you celebrate a milestone. The point is that treats help, and you'll also enjoy them more when they are occasional than you ever did when you indulged regularly. Budgets are for everyone. You can learn how to make a budget, you can stick to that budget, and you can take power and control over your own life. You can be in charge. It's empowering, freeing, and fulfilling to feel in control, rather than controlled by, your finances. The tools to get you started are all in your house or accessible from the internet. All you need is the motivation, and that comes from inside. You can make this happen: we believe in you!